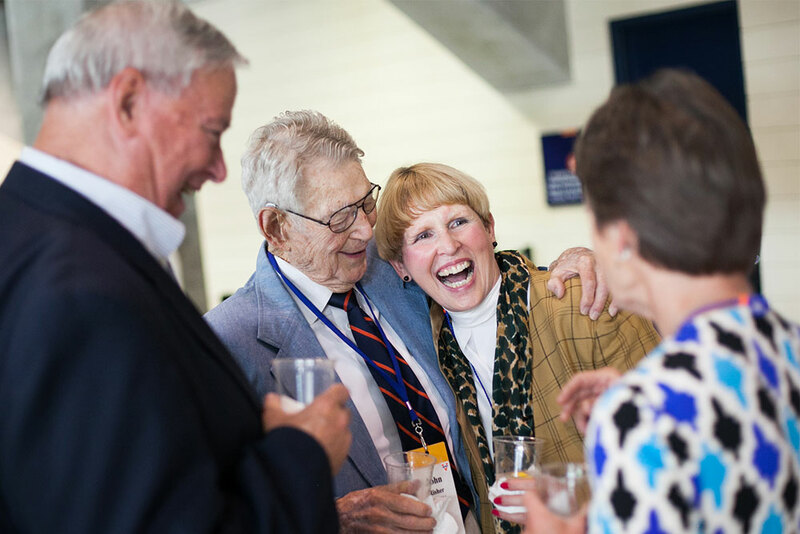 Dr. John Risher (second from left) pictured at Reunions 2016. 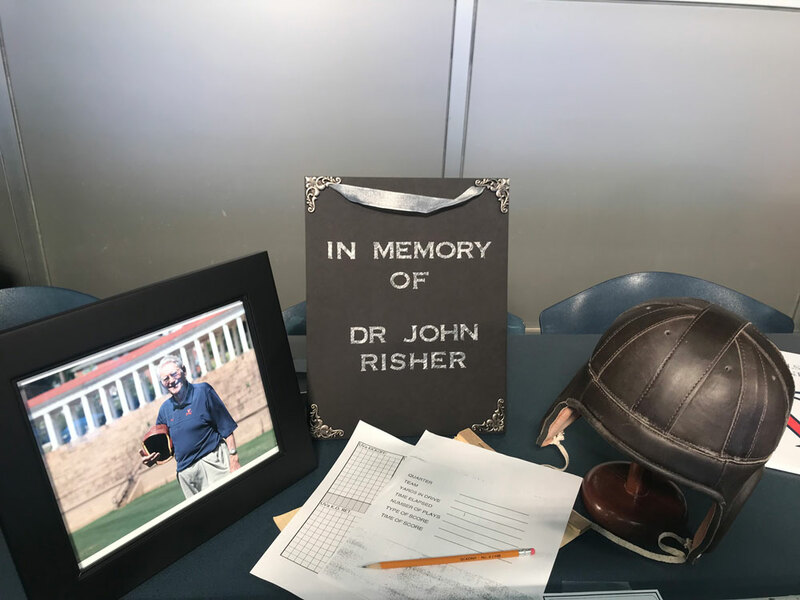 Risher, a former football player who had worked in the Scott Stadium press box since 1963, was known throughout the University athletic department as the ultimate gentleman—a kind and caring soul with a sharp wit. Risher had a great love for Cavaliers sports teams. As a volunteer, he helped keep the stats at home football games and frequently attended basketball games at John Paul Jones Arena. 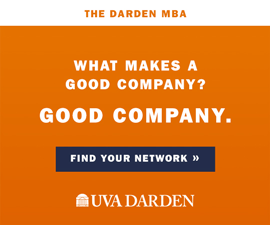 It was commonplace for Risher to be swarmed by people who wanted to meet what they considered to be UVA sports royalty. 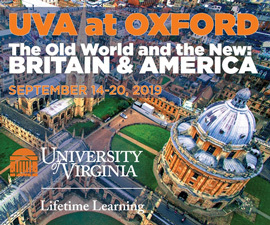 His love of UVA brought him faithfully back to the TJ Society reunions every year until 2016. Risher was born in Carnegie, Pennsylvania, on May 11, 1910, and moved to Charlottesville with his mother and family in 1919 after his father died, according to The New York Times. At UVA, Risher was a football equipment manager, but he played in one game—a 1931 game against Roanoke—as a receiver. 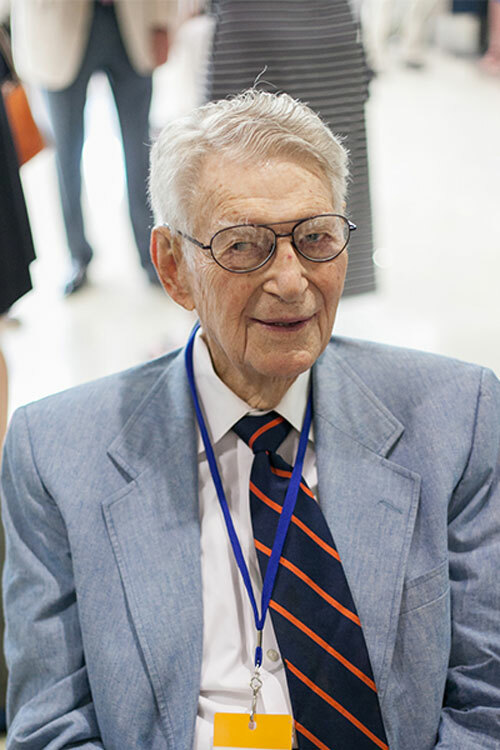 During World War II, Risher joined the Army Corps of Engineers that served in Greenland and Central America, and later the Office of Strategic Services, according to the Times. After UVA, Risher lived with his family in Lynchburg, where he became an ear, nose and throat specialist. Risher’s wife, Anne, died from Alzheimer’s disease in 2011. He did often joke about his age.